I can't believe it's been almost a year since we moved into our home, and we still love it just as much as ever. This time of the year is the most common time of the year to move and it's no surprise why - especially with so many people (both high school and college) graduating within the past few months and moving out on their own. While a lot of college-aged students probably moves out of their parents' houses while they were in college, something about moving out on your own is different. 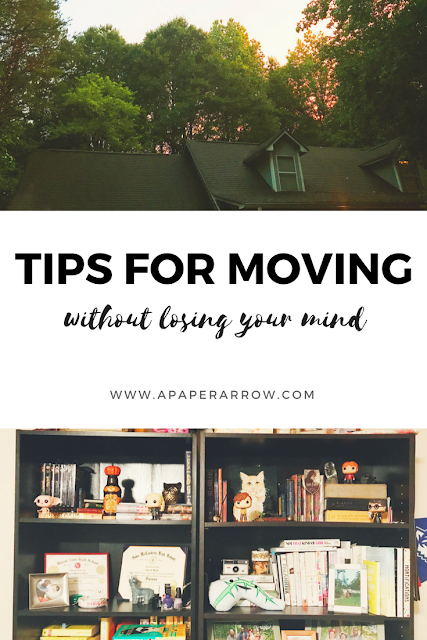 This isn't necessarily just moving into a pre-furnished apartment, but moving out really on your own, where there are so many things that are needed that you may not even think about. Of course, people other than just recent grads are moving, which includes families and couples, and others who may have already been out on their own but are moving some place new. That doesn't mean that there aren't still things that are needed. 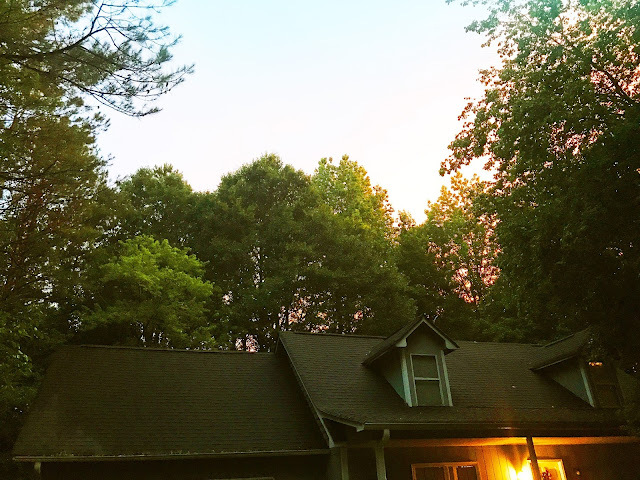 Read along for my tips on moving and how to stay sane while doing it, then check out this week-by-week checklist for the ultimate preparedness. Pack as you go. Start packing ASAP. As soon as you know you'll be moving, start packing up decorative items and things you don't use regularly. When we moved last year, we basically had a pair of dishes for the two of us, a couple of towels, and our clothes. Mostly everything else was wrapped and boxed up - ready to go when we were. If you start packing up and do just a little each day, it makes the process way less overwhelming. Wrap with things you have. Use any crates, laundry baskets, etc. in lieu of boxes. Use dish towels and washcloths for packing. Have cardboard boxes, newspapers, and bubble wrap handy, too, but use what you already have first! Figure out what you have and what is needed. As you're packing up, figure out what you may need for your new home - and the things you already have and don't really need to replace. A rug. Wherever you move, regardless of the space - a rug can really tie a whole space together. Find one that works best for you. Or make your own. Artwork. Whether you choose sketches or paintings, sculptures, or weavings, artwork can add personality to your home. Check out local thrift stores, farmers markets, or etsy for artwork that speaks to you. A new mattress, sheets, and pillows. It can be so difficult to tote an old, ratty mattress from one home to the next. It can especially be more trouble than it's worth if it's an older mattress. Or maybe you've been sleeping on a furnished bed, or in a dorm? A new mattress is the perfect gift to yourself for your new home. Shelves are a must. 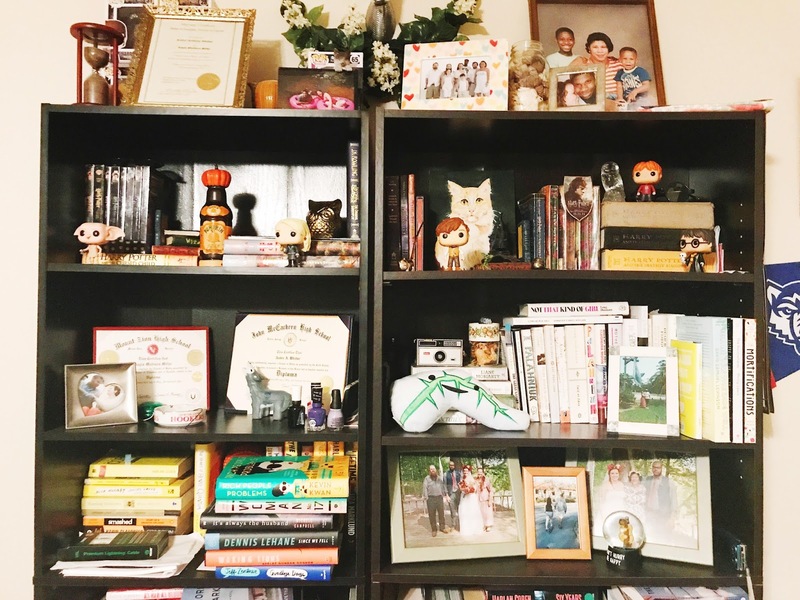 For me, they're covered in books, pictures, and knick knacks, but shelves are the perfect was to liven up your home. Fill them with anything your heart desires. Plus, using standing shelves help you decorate without knocking out your deposit (if you're renting!). New bathroom decor is something you may not think about needing to update when you move, however, do you really want to continuously tote around old bathroom stuff? An update to your bathroom decor can be quick and simple - just check out this tutorial. Lastly, dish out a little for some lamps. Once you've figured out your new home setup, you'll want to grab some lamps for those places where you just need a little extra light. I recommend a standing lamp for the living room and a tabletop lamp for your bedside table. I for one hate having to get up to turn off the lights, so lamps are the perfect solution. Also make sure to check out some other items from my new home wish list from when we moved into our new home last year. 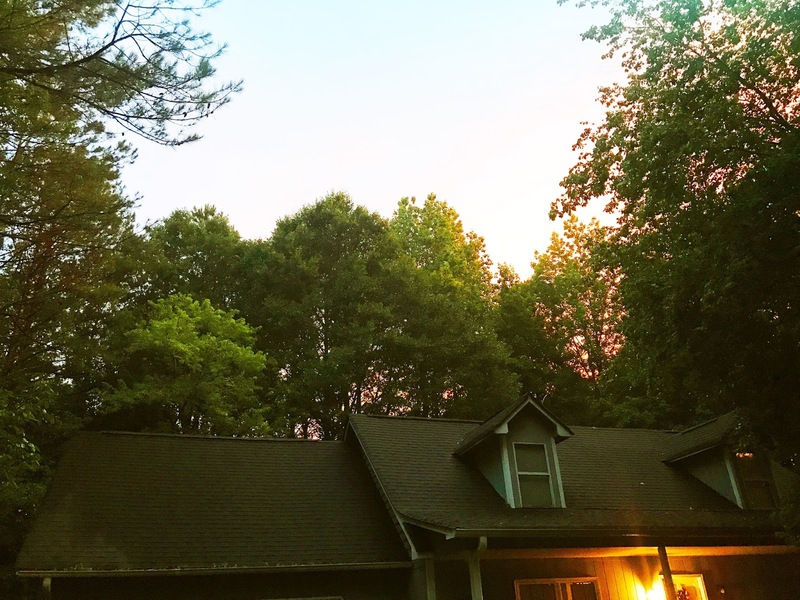 How do you settle in to a new home? 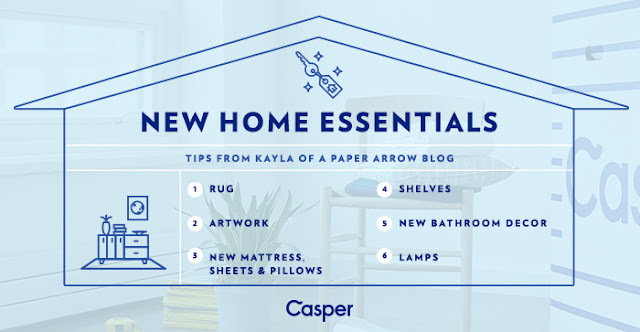 What items are on your must-have for a new home list? Moving is such a hassle! I'm really happy that I won't be moving in the near future. These are awesome tips, best one is definitely starting as early as possible. There's nothing worse than having to pack stuff last minute. Agreed. We don't plan on moving again until we buy a house - so fingers crossed there!